Determine your business model before writing your business plan. This is a concept introduction workshop that explores the use of the business model innovation tool for your business opportunity. Learn to identify and communicate through the nine building blocks that provide a framework for analyzing the business in terms of viability and cash flow. 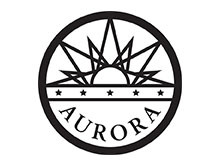 Fee-based workshops are payable in advance via PayPal; see your registration confirmation for the link; if paying at the door, bring exact cash or check payable to the SBDC host "City of Aurora".